A longtime favorite of mine . It has been a hit with the saltwater fishermen. I know it is used for tuna and I think it works of dorado as well . 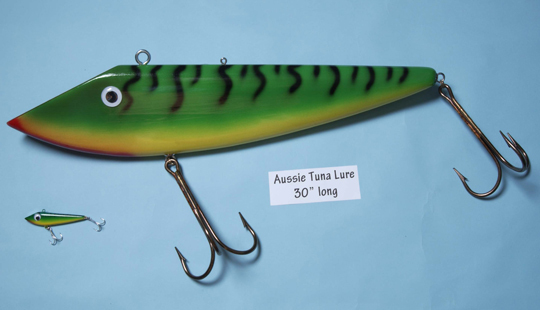 This is a very large and colorful lure, A very impressive lure.